A – Levels: Applied Maths, Pure Maths, Physics, Chemistry. We are a computer games firm based in Brighton who produce the Buzz series of games. We are a friendly and fun company, usually going for drinks on Friday. We employ programmers, artists, producers, testers etc. Simply put, I program Buzz using C++. An average day might involve working on some new features, or might involve fixing some bugs that the testers have found. I love the fact that I am producing something that over a million people have played and enjoyed. It’s such good fun to be writing games. I was always good at maths at school, and just always enjoyed it, particularly applied maths. I love solving problems, and a computer programmer solves problems all day long, so it was a perfect match for me. Good problem solving skills. Good programming skills. Some statistical analysis ability is a plus. Any advice you may have for other individuals considering your career path. Firstly, good A-levels are a must. I would recommend doing double maths and physics. If you can teach yourself a language (C and C++) then that is also a big bonus. Most people in my firm have a degree. Some in maths, some in physics, and some in one of the newer computer game subjects. There are a few around now, like ‘Computer Game Programming’, or similar titles, but some are better than others. All these degrees require you to have a strong maths background, and will take your skills further. 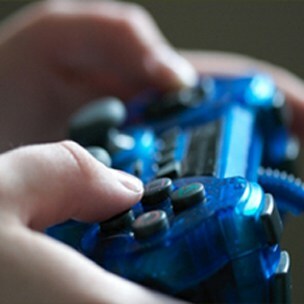 Once you have a degree you can apply for games programming jobs. Some firms employ graduates straight from university, but others only want people with experience. If you can’t get a games programming job straight away, I would get a C++ programming job for another (non-games) company. Once you have a couple of years experience as a good C++ programmer then games companies will find you much more attractive. Keep programming games for as long as I can.